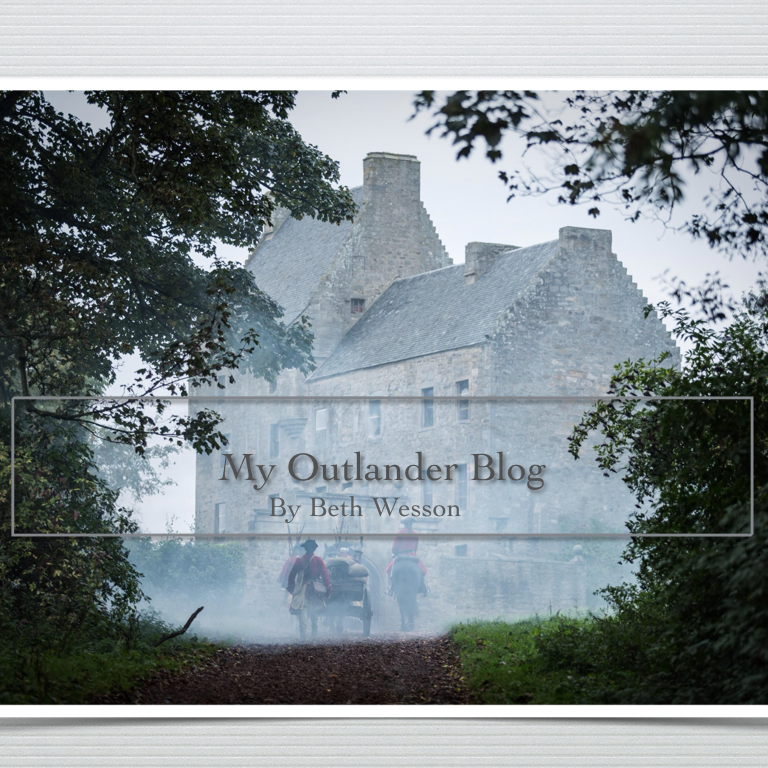 Uncategorized – Page 3 – My Outlander Blog! 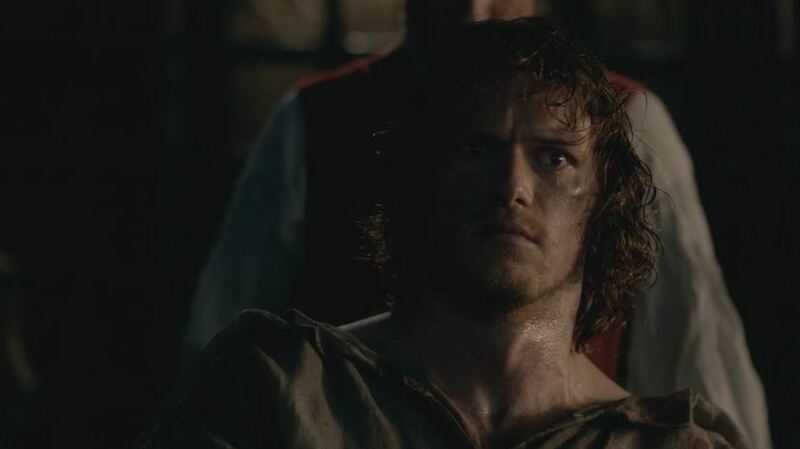 I loved Jamie’s assertion to Claire, in this week’s episode of Outlander “Creme De Menthe”, that what they were experiencing was not “but a wee bit of chaos”. It kind of summed up this last week in the fandom, too. Jamie assures Claire that they had dealt with this kind of thing before and survived. As a fandom, so have we. It has been an interesting week, to say the least. Lots of discussion about adaptations. I’ve got to say that I was anxious for a new episode to be shown, so that we might be able to move on a bit. That this episode was an all-out adaptation was irony at its finest! Story-lines were condensed, characters changed, action moved, etc. Everything we book fans hate. But, unlike last week, I was expecting no “kerfuffle” because I saw this as one of those episodes that happen every season, full of foreshadowing and intros to new storylines. 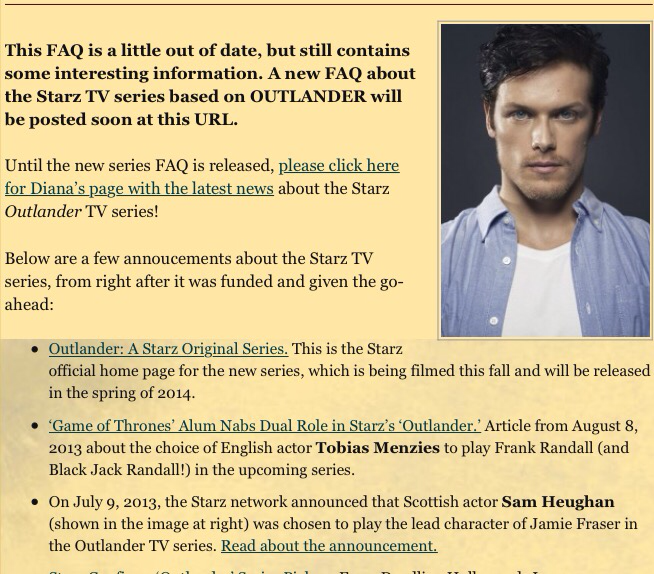 Then I was told this morning that even Diana Gabaldon had a few things to say about this episode on CompuServe. You know I said there was one “Laoghaire-redemption-like” thing this season? Mm. Hm. Jamie lie to Ian’s face? The one person in the world (other than Claire, who was there) that he ever told about Wentworth? His blood-brother from the age of eight, his brother-in-arms, his brother-in-law, his best friend, for whom he’d lay down his life? Oh, sure. Why wouldn’t he? I’m assuming they heard her and tempered Claire. Diana has always maintained that she is mostly happy with the adaptation. Of course there will be things she is less happy with, but I have to say I admire her ability to be so objective about the whole process. I’m pretty sure if I were in her place I’d be as protective as a mother tiger. Last week, Jodi Picoult, a very popular writer who has had her books adapted to screen and might know a thing or two about the subject, tweeted that the Outlander folks are doing a great job and Diana agreed. This week’s episode took us in all kinds of directions that led us away from Edinburgh and put us on the road back to Lallybroch. I had a chance to listen to the 3.06 podcast this weekend, something I don’t normally get to do. It was fascinating. I was struck by the comradery, the genuine excitement about the episode, the attention to detail, and their commitment to produce a show that honors the source material and characters. I still would love to be part of the “heated” discussions that happen! To me, the fact that do happen says volumes about these writers, directors, producers, and actors. They care. Several things stood out to me. For example, when any decision is made to change anything from the book the “domino” effect is considered. They ask themselves how this will change the story over time and what effect the changes will have on the story they are trying to tell. Sometimes too many things are affected and too many changes would result from one change and so, it is abandoned. Other things like Fergus having a wooden hand instead of a hook, do not and so they go ahead and make the change. No decision is taken lightly when these folks adapt. So, it will be interesting to see how the MANY changes to the story we saw in this episode will affect the story over time. There has been so much discussion in the fandom about whether or not the “character” of the characters has been changed i.e. if Claire or Jamie, respectively, would ever “do” that or act that way. It sounds like a great deal of the time in the writer’s room is spent discussing the characters and their motivation. Would Jamie have lied to Ian’s face and why? Would Claire really have been so insensitive as to tell Jamie he doesn’t know what it is like to be a worried father? I’m not sure what the rational was, but I know after listening to this podcast, it most certainly was discussed and after this morning, I know Diana gave voice to her concerns, LOL! I have to keep reminding myself that this is an episode, a piece in a bigger puzzle. Ultimately, we probably won’t be able to judge if these things were a misstep until the end and it’s all in the can anyway! There isn’t a thing that can be changed no matter how much we voice our concerns or disapprove. A friend said what struck her watching 3.06 was that Claire had regrets, but that Jamie had secrets. I listened as these writers and producers talked about how to play those very things on the screen. The decision to have Jamie confess all or hold back, what constitutes lying, lies of omission, Jamie’s having no time to prepare for this moment he thought would never come, and his honorable character were all taken into account. For instance, the group decided to have Jamie tell Claire about Willie in part because he trusts her with this information and his feelings about another child he lost. I don’t disagree with the decision to have him tell her about Willie. Of course, he would be thinking about all of his children and the need to tell Claire. Another thing that I learned during this podcast is that this IS a collaborative effort. The actors have a voice too. They have a relationship with their characters and want a voice on how to “play” what they “know” about them. I respect that. The performances have been stellar and if Sam believes this is the Jamie he knows, I’m more than willing to give him the benefit of a doubt. I trust that we will see more of how Jamie felt about those pictures, Bree and the sacrifice. And, to tell the truth, I’m getting excited for the drama and truth that slower reveal will bring. In conclusion, I learned that a lot of thought goes into everything and every decision. Welcome to the past Claire. We were reminded that women are at risk everywhere and all the time. It’s a good thing the last episode was longer because this story isn’t sitting still for long and evidently, the traditional second honeymoon in the 1700’s is one night. I felt the whole scene with Claire risking everyone to care for a man who just tried to kill her was preparing the audience for her risking them all later for that same calling. I got the feeling that Mr. Wiiloughby is becoming her partner in “medical crime” so to speak. I know folks were hoping for a bigger look at Claire’s life as a surgeon in the 60’s, but I think watching her practice her skills in the past might be much more interesting! Hmmm…she cracked a guy’s skull with a hand drill! I know some folks think Jamie is being portrayed as a bit shady, but he has a lot of folks he is still responsible for and has very few options for once again becoming an upstanding citizen. I found myself wondering if his aliases really have changed him a bit. Maybe A. Malcolm can do things Jamie Fraser can’t. Well done Steven Cree, I thought Ian’s response to Claire was brilliant and his statement that he and Jenny grieved over her for years and his asking where she had been had a tone of accusation. Does he think Claire abandoned Jamie? Is that what we saw foreshadowed in the preview when Claire is asking Jenny for a second chance? Ian and Fergus were quickly established as likeable characters that we should care about. I’m really excited about the casting of these two actors. I can see them both navigating what happens in the future. I am also happy with the change to the role of the Campbells in the story. I always wondered how Margret went from catatonic sister to seer extraordinaire. This fits well with the Abandawe story line. One question, why does every virgin in this story but Fergus think it is done like a horse? Just kidding, I laughed out loud. The mean streets of Aberdeen and Dundee got a snort too. I mourned the burning of that print shop, but thought it was a good transition and I THOUGHT the fight between Claire and Jamie foreshadowed the emotions that will boil over when she discovers Jamie is married. But, oh lort that preview. I was going to write about how I thought the true beginning to forever for this couple happened when a certain conversation in front of a hearth in Lallybroch took place, but that just got thrown over a cliff…literally. I was prepared to hate that shop bell. I had convinced myself that the episode would end with Claire opening that door and ringing that bell. I was anticipating an exasperating cliff hanger. We got a cliffhanger alright, but to my delight it wasn’t the one I was expecting. Instead of groaning out loud my frustration as the credits rolled by, I found myself sharing Claire’s intake of breath at the sound of a voice recognizably Jamie’s. I walked with her across that shop speechless, unable to answer his inquiry. I held my breath as she came closer to the opening between the shop and the press room and saw Jamie’s back bent over the machine. I could feel her tearful joy as she struggled to find words to speak and let him know she was there. I watched his reaction as his body stiffened at the sound of her voice and as he turned with an almost comical look of suspicion. His narrowed eyes suddenly flew wide and as she tearfully smiled down on him, the reality overwhelmed and he fell, “rather gracefully for a large man”. Claire’s concerned face was the most satisfying cliffhanger moment I’ve ever experienced. 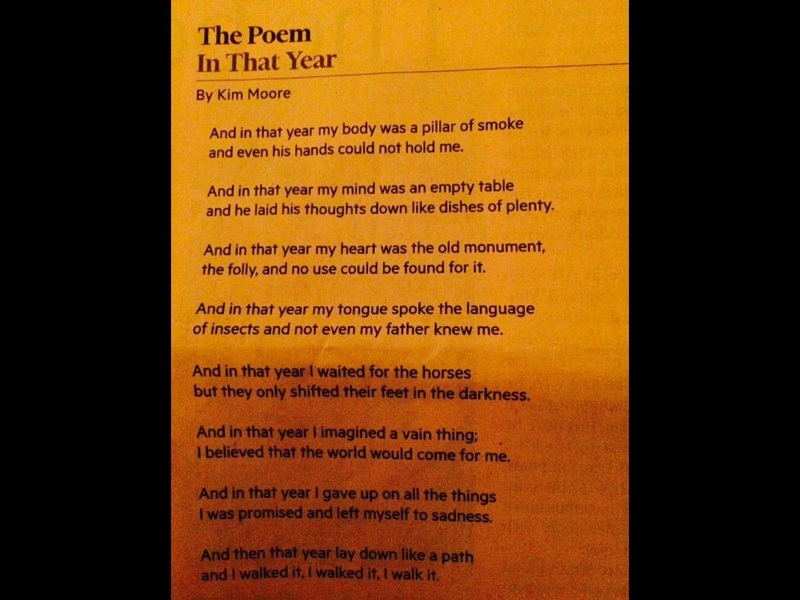 I was tearfully smiling. Bravo. Well done. It’s the well done part that I want to reflect on. I told a fellow fan after last week’s episode that I feel like I’m saying the same things over and over. Everything has been so well done, so lovingly created, that I have found very little to “discuss”! My critique hasn’t been very critical and I’m starting to see what those early reviewers saw in these first six episodes. It has been well acted, beautifully produced, and intelligently…written. I see pictures of the fans with the cast from one “con” or another and even though it would be nice to meet them, the folks I really want to meet are the writers! I’m fascinated. I’m intrigued by how they are able to walk that fine line of honoring the source material and creating the show’s own independent personality and identity. This week they fleshed out a story arc from the book about Claire’s decision to leave Brianna and go back through the stones. In my opinion, this time in Boston was a needed bridge between Claire’s future and her past. Starz hashtag for the episode #impossiblechoices couldn’t have been more apt. I had always wondered how Claire could possibly have come to terms with leaving her daughter. I couldn’t imagine how she could do it!. They had to make this okay for us. They had to find a way to communicate why this woman would risk everything to go back. I needed to see how she arrived at that decision. What I didn’t expect to see was a bigger truth about the nature of love. 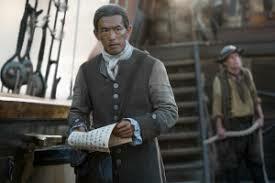 I am fascinated with how the writers were able to get us to that print shop scene. They have been drawing us a map to a true love’s reunion for the last three seasons. Claire spends the first half of the season fighting her attraction to Jamie. We are able to see that she is in danger of loving him. Jamie asks her if what he feels when he lies with her is normal between a man and a woman. Claire shakes her head and admits that, “No”, what there is between them is different. We watched them grow closer and then there is the aftermath of Wentworth. In the Abbey, Jamie tries to send her away, but Claire won’t let him. She tells him and us that the only way she can make sense of all that has happened to her is to believe it is because they are meant to be together and that she will take him anyway she can get him. In season 2, we see them trying to find a way back to each other. We see them fighting for their relationship. They always do find a way back to each other despite all that happens and stands in their way. When he takes her to the stones the second time, there is no doubt that their love is rare, mutual and passionate, “You are my home” insists Claire. “And you mine, but this home is lost”, Jamie promises that not even death will separate them, “I will find you”. 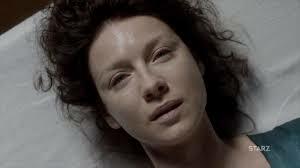 Claire’s anguished cries when she knows herself to be back in the future are heart-breaking. This season they have led us to the print shop door by showing us how empty Jamie and Claire’s lives are without each other, but they have also shown us how rare their love really is. Jamie is constantly reminded of Claire. Her memories color everything for him. He is a shell of himself without her. We see both Jamie and Claire live with the knowledge that they have lost a love they will never experience again. Everyone around them, Bree, Joe, Roger, Jenny, Ian, John. know that they have lived a “half-life” without their hearts. When Frank asks if Claire could have forgotten Jamie with time she tells him, “That amount of time doesn’t exists”. Jamie lights a candle for Claire because he remembers her …always. Their love is mutual and rare. Claire loved Frank, but whatever she felt for him paled in comparison to what she feels for Jamie.When Geneva asks Jamie what is the difference between love and what she feels, Jamie tells her that love is when you give your heart and soul to someone and they give theirs in return. It is the “in return” part that this episode highlights. The scene that brought this all in to focus for me was the scene with Sandy the mistress and Claire. At first, I was incensed for Claire. This woman had no real idea what things were like between Frank and Claire and why they stay together. Claire wasn’t trying to have it all! Claire wasn’t being selfish. But, then I rewound the scene. “You should have let him go. … All those years you never wanted him, but you wouldn’t give him up. He told me he stayed with you for Brianna, but I knew a part of him was still in love with you and always would be no matter how much you broke his heart. I had to live with that because he was the love of my life and I wanted him even if it meant I had to share him with you. I could have made him happy, but you were selfish you wanted it all. So, you lived a lie and made Frank and Brianna live it too. You threw away 20 years with him and I would give anything just to have one more day. Sandy just encapsulated the desperate state of most relationships. She was talking about her relationship with Frank, but ironically, she could have been talking about Frank’s relationship with Claire. “… but I knew a part of him was still in love with you and always would be no matter how much you broke his heart. I had to live with that because he was the love of my life and I wanted him even if it meant I had to share him with you.” Frank knew Claire still loved Jamie, but he lived with it because she was the love of his life. He too believed he could make her happy. They lived a lie alright, but it wasn’t because Claire wouldn’t let Frank go. The lie they lived was because Frank loved Claire more than she loved him and he couldn’t let go. Sandy lived in discreet shadows because she loved Frank more than he loved her and she couldn’t let go. I wonder how many people hang on to relationships where the love isn’t mutual. How many settle for less. I believe to love and be loved equally is the exception not the rule. Frank and Claire’s marriage didn’t work because there wasn’t enough time for her to ever forget her love of Jamie and his love of her. Sandy also reminded me that it has been twenty years. Twenty sad and lonely years, pining for the person with whom Claire can be her true self. What wouldn’t any of us give for just one more day with the love of our lives? What would Claire be willing to give or risk for the chance of one more day with Jamie? Brianna reminds her mother that if what she felt for Jamie was that powerful, she must trust that he feels the same. She wants her mother to be happy and she knows without Jamie that will never happen. She reassured Claire that she is her mother’s daughter and that she will be fine. “He gave me to you. Now, I must give you back to him”. The decision to leave is made because the chance to love and be loved equally and passionately is the greatest reward any of us could hope to obtain and the only thing worth the risk. The answer to Claire’s question is “no” to have gone once is not enough because to experience true love is worth the voyage again. Claire decides she will once again travel beyond the moon to find and live in a rare and mutual love.